The Peekapoo is one of the oldest of the hybrid, or designer, breeds. He was developed in the 1950s with the cross of a Pekingese with a Miniature or Toy Poodle. The goal was to produce a non- to low-shedding dog suitable for people with allergies. The Peekapoo gained popularity by the early 1960s, around the same time as the Cockapoo. Despite the popularity of the Peekapoo, there is no breed club. 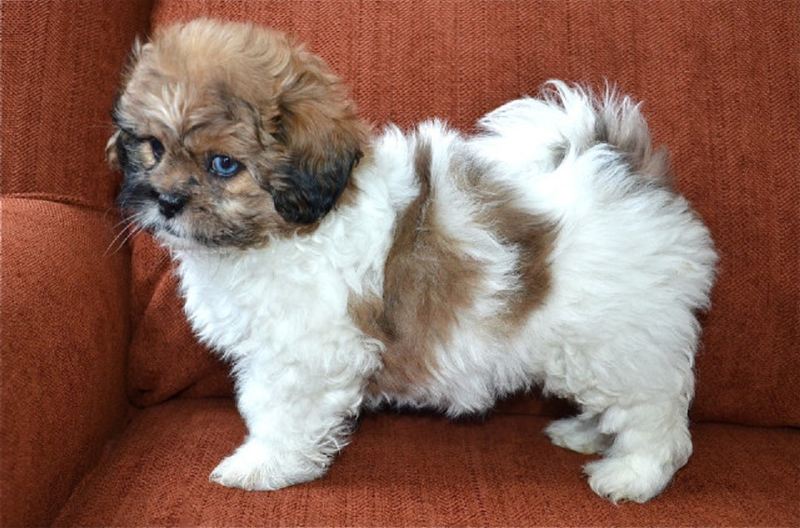 The hybrid has remained largely a first-generation cross; the parents are usually Pekingese and Poodles. There is no indication that multigenerational breeding will occur - but never say never. Due to his small, lap-friendly size and sweetly affectionate temperament, the Peekapoo has maintained a strong following.